The passage quoted above served as my introduction to Walerian Borowczyk's magnificent and unforgettable 1981 film The Strange Case Of Dr Jekyll And Miss Osbourne. It was the summer of 1995 and I had just turned 22 years old. As I have written before the book Immoral Tales and the publication I would discover soon after, Video Watchdog, had a profound impact on my life and by the end of that year I was fully immersed in the grey market VHS tape trading scene along with my movie buddy Dave, who had been a frequent customer at the video store I managed in Lexington, KY.
Like junkies who were experts at the hustle, Dave and I made an art-form out of finding and trading as many rare films as possible on the limited budgets we had. At least a few times a month a new update from the likes of Video Search of Miami, Midnight Video, European Trash Cinema, Luminous and countless other mail order companies, we would order from, would show up in our mailboxes. We'd devour the listings looking for insane new titles we had never heard of, uncut and/or upgraded versions of favorites we already had and films we had read about but had only dreamed about seeing. To take advantage of the quantity discounts most of these companies offered we'd pool our money together, send off a money order and wait impatiently for our new package of dreams to arrive. We were pirates and we quickly learned all the pros and cons of each company. Video Search had the largest selection but they were the most expensive and often had the worst quality. Midnight Video had the best upgrades and catalogs, E.T.C. had the friendliest and quickest service while Luminous offered those gorgeous custom color sleeves and featured the cool as hell tape intro that copped a memorable moment from Let Sleeping Corpses Lie. It was a fun and exciting period and it was in this atmosphere of discovery that The Strange Case Of Dr Jekyll And Miss Osbourne first came into my life. My first copy of Borowczyk's legendary masterpiece came courtesy of one of the companies listed above. Time has taken away my memory of exactly which one it was but I do remember it was one of the worst quality tapes Dave and I got in that period. No matter how atrocious the print was, or how much footage it was missing, The Strange Case Of Dr Jekyll And Miss Osbourne was a devastating experience. Here was a work that more than lived up to its legend and throughout my twenties it became one of the key films that I continually looked for better copies of. Dave and I invested in several different versions of it with no real satisfying results. As the nineties gave way to a much darker decade and VHS was phased out by a new digital format, that took up a lot less shelf space, Borowczyk's great late-period shocker became almost like a murky fantasy that a number of dedicated dreamers around the world shared. As our twenties became our thirties, our VHS libraries of lost, missing and unknown films were replaced by official DVD versions. While many of our favorite films were finally given official releases there were some works that just seemed destined to stay lost and Borowczyk's The Strange Case Of Dr Jekyll And Miss Osbourne was one of those films. 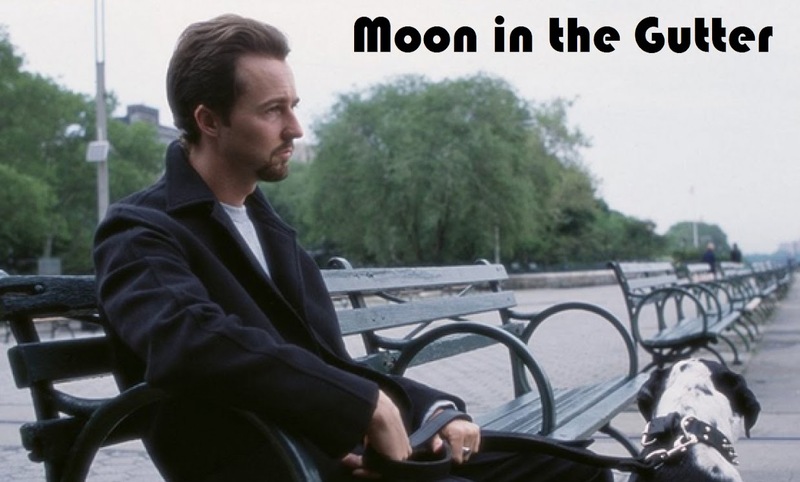 We thought we almost had it at one point when Anchor Bay mentioned it as a possibility in the early 2000s but William Lustig deemed it 'too arty' and it was taken out of consideration. It was extremely frustrating but in hindsight I get Lustig's reasoning as business man because, sadly, for many Euro-Cult lovers Borowczyk's film will indeed seem impenetrable. Of the many labels given to The Strange Case Of Dr Jekyll And Miss Osbourne over the years the only one that really sticks is that it is indeed an art-film. More than that, and as others have noted, it stands along with Andrzej Zulawski's Possession (also 1981) as perhaps the last great European Art-Film of the seventies. It was the end of a marvelous period of film-making that had been marked by daring originality and fierce non-conformity. 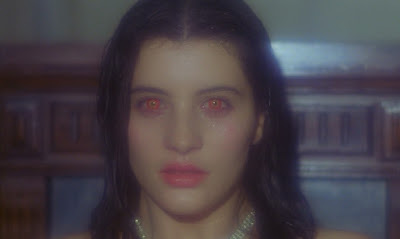 Finally seeing The Strange Case Of Dr Jekyll And Miss Osbourne the way that it was meant to be seen twenty years after I first viewed that barely watchable VHS copy is like having my distant dream transformed into a shockingly coherent memory. 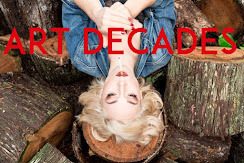 Arrow Films haven't just released the most important Blu-ray/DVD of the year, they have delivered the art world one of its great lost treasures in a version that is jaw dropping in its execution and presentation. This exhaustive special edition disc that now houses Borowczyk's once lost film is absolutely stunning and film lovers everywhere owe a sincere thank you to its chief creator Daniel Bird and his entire team, including co-producer Michael Brooke. Arriving on disc with pristine picture quality and sound, The Strange Case Of Dr Jekyll And Miss Osbourne can finally be seen as Borowczyk originally intended. Watching this version was an absolute revelation to me and, while I hate to use this cliche, it really was like seeing it for the first time. Among the major things that I admire about The Strange Case Of Dr Jekyll And Miss Osbourne is what an incredibly flexible piece of filmmaking it is. This is Borowczyk at his most ambitious and The Strange Case Of Dr Jekyll And Miss Osbourne vaults, with apparent ease, between a Victorian horror film to a savagely witty satire to a feverish surrealist nightmare. Borowczyk achieves so much in just 90 minutes and his work here is an awe-inspiring. Add on to the fact that he was working with a relatively limited budget, on a tight shooting frame, and The Strange Case Of Dr Jekyll And Miss Osbourne becomes an even more remarkable achievement. Every shot is expertly composed and the amount of thought that is apparent in even the film's most seemingly unimportant moments is astounding. No filmmaker has ever successfully forced an audience into a more voyeuristic mode than Borowczyk. 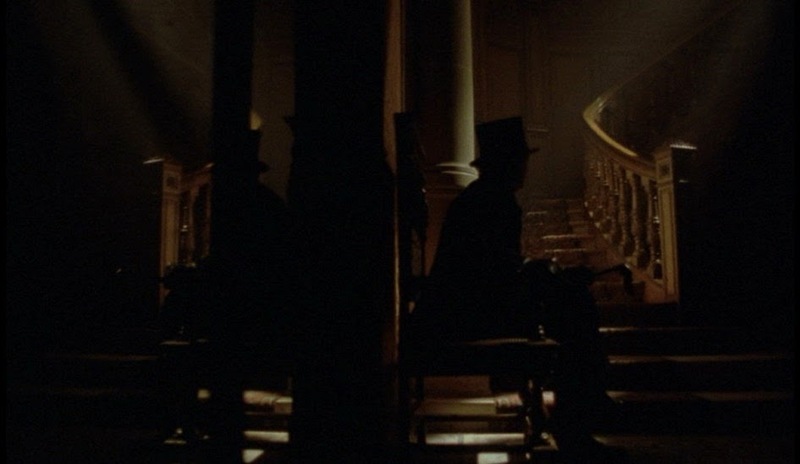 Even a key sequence like the reading of Jekyll's will is filmed through a doorway as if we are peaking in to an event that we are not supposed to be privy to. Among the most remarkable achievements on hand in The Strange Case Of Dr Jekyll And Miss Osbourne is that, despite how dialogue driven the mid-section is, it manages to recreate the bewitching spell and mood of a great silent film. Also, just about an hour in, Borowczyk delivers one of the great 'how did they do that' effects in all of cinema during the film's first transformation scene. It's one of those moments, like the last shot in The Passenger, that cinephiles will return to again and again. Among the things that surprised me the most revisiting The Strange Case Of Dr Jekyll And Miss Osbourne was just how devilishly witty it is in its middle section thanks to Borowczyk's sharply satirical stab at a repressed upper-class and legendary Patrick Magee's wonderfully over the top turn as the bumbling patriarchal General. Be sure to watch the English dub of the film to see the full power of Magee's delicious turn. The whole cast is quite extraordinary and was one of the best ensembles Borowczyk ever got to work with. While such Euro-Cult favorites as Udo Kier and Howard Vernon will be the most recognizable it is the mesmerizing Marina Pierro, as Miss Osbourne, who commands the most attention. There is a clear and special bond between Borowczyk and Pierro that only comes around once in a great while in film and this stands as their key work together. Pierro's final transformation (a resounding feminist statement against male repression and stereotyping) is one of Borowczyk's great moments and no description of Pierro in the film's pulverizing closing seconds will suffice. No longer keeping us peering through half closed doors, Borowczyk brings his audience inside the frame as The Strange Case Of Dr Jekyll And Miss Osbourne comes crashing to a close to the point where we are no longer just watching but we are actually experiencing the film. The final half hour of The Strange Case Of Dr Jekyll And Miss Osbourne is, simply put, unlike anything else ever put on the screen and stands with any great cinematic moment you care to name. 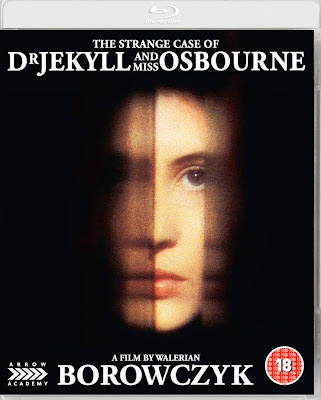 The Strange Case Of Dr Jekyll And Miss Osbourne has been granted a Criterion Collection style release and contains a number of absolutely essential bonus features, most of which were created by Daniel Bird. First up, the disc has an engrossing and fascinating commentary track made up of a 1981 archival discussion with Borowczyk and new interviews with cinematographer Noel Very, editor Khadicha Bariha, assistant Michael Levy and filmmaker Noel Simsolo. Expertly put together by Bird, this is one of the most rewarding commentary tracks I have heard in ages. Two short films can be found on Arrow's disc including a newly discovered Borowczyk animated work called Happy Toy, a charming and surprising film from 1979. Also on hand is the startling Himorogi, a 16 minute 2012 homage to Borowczyk by his greatest muse Marina Pierro and Alessio Pierro. A number of interviews are included on this special edition as well including a touching chat with Udo Kier and a thought-provoking talk with the fiercely intelligent and intense Pierro (who appears off-camera). We are also treated to a discussion with Alessia Pierro on Himorogi and the charming collaborator Sarah Mallinson. Rounding out the superlative extras on The Strange Case Of Dr Jekyll And Miss Osbourne are a number of featurettes including a terrific 30 minute introduction to Borowczyk, which is both wonderfully informative and personal, by the disc's co-producer Michael Brooke. An insightful video essay on Borowczyk by Adrian Martin and Cristina Alvarez Lopez entitled Phantasmagoria of the Interior follows as well as two terrific Daniel Bird works, Eyes That Listen (a profile of the daring composer Bernard Parmegiani) and Return To Melies: Borowczyk and Early Cinema (an ingenious look at how silent cinema helped shape Borowczyk and especially The Strange Case Of Dr Jekyll And Miss Osbourne). The theatrical trailer and a long booklet is also included. ***My stills above are taken from the DVD and do not represent the amazing quality of the Blu-ray. Read More About this release at Arrow's site and please order/review at Amazon or your favorite retailer. STAY AS YOU ARE Comes Out on Blu-Ray Tuesday!